The Cabbage Looper war in Crazy Charlie’s pickle patch! 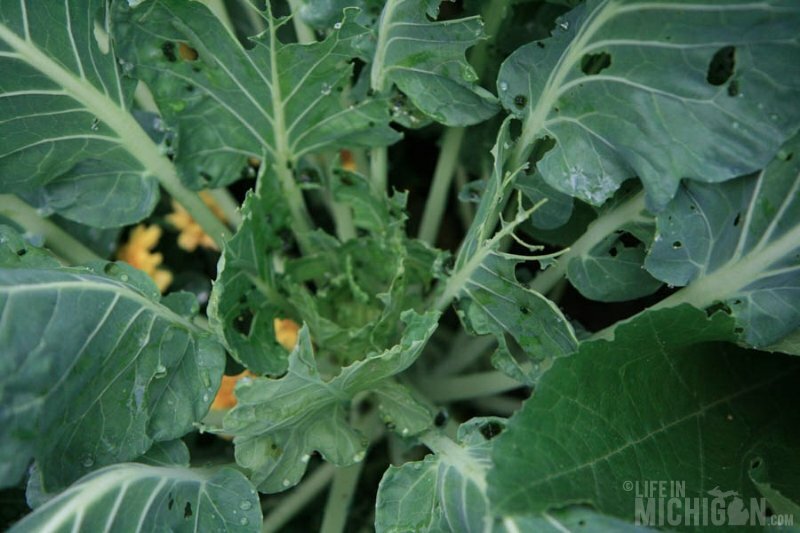 Finding cabbage loopers eating our cauliflower, kale and brussel sprouts was devastating. We built a 4 foot fence to keep the deer and rabbits from eating our greens, little did we know that butterflies were our worst enemy. Ever wonder about those cute white moths hovering just above your garden? Well you should because they are laying eggs that hatch green caterpillars that have a huge appetite. Yes that little caterpillar did this in just a few days! How do you rid your garden of cabbage loopers? Well the first thing you do is google it. 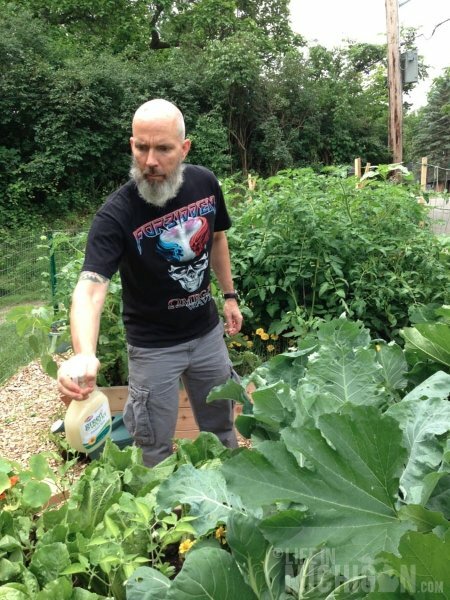 We found a garlic spray recipe on Vegetable Gardening Made Simple. The second thing I recommend is to stay in control when you take the garlic spray to the garden. Charlie said the plan was to “test” the spray on one plant. He was not in control and sprayed everything including me! I was pretty sure he’d killed the entire garden. The plants wilted in the sun from garlic spray. The next day the garden looked much better but we still have cabbage loopers. It has been raining since the garlic application and we need to reapply but I’m a bit afraid to suggest it. Along with the garlic spray you need to pick the green bugs off the plants which is not fun. Installing row covers will keep the butterflies from laying the eggs in the first place but clearly this is not an option at this point. You need to do this in the early spring. We’ve planted the marigolds, sunflowers and dill that should attract beneficial insects but maybe we need more of these plants. We may need to resort to spraying Bt (Bacillus thuringiensis). Is a naturally occurring bacterial disease that only attacks caterpillars. Oh no! I’m sorry to hear about your looper problem. It sounds like you’re trying some good, organic options. We had loopers pretty bad in our garden last year. 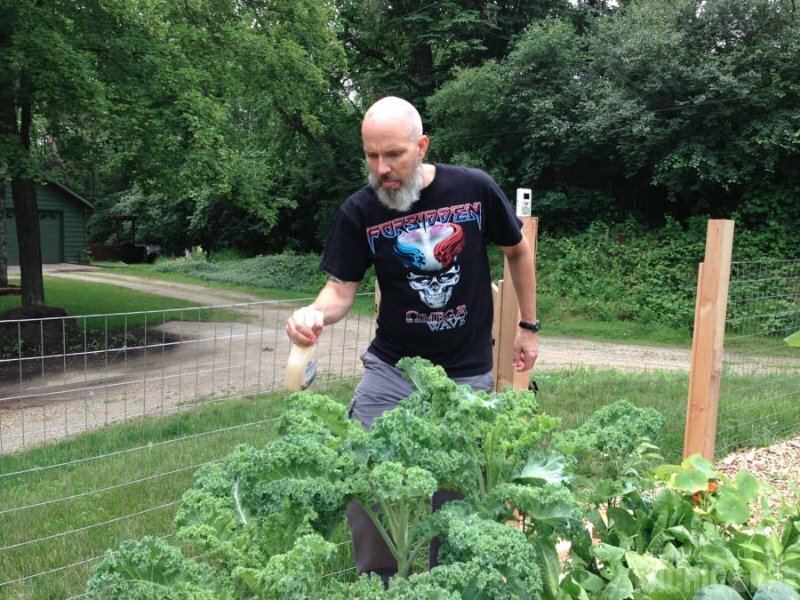 Our soapy, cayenne, tabasco spray had limited success in controlling the pests. What was most effective? Probably the most fun option. We had a group of students in the garden, and I wanted them to spray the plants to deter the caterpillars. They immediately became far too attached to the loopers to do anything that would cause them harm. But each kid wanted to hold more loopers at one time than their neighbors. They scoured our cole crops and found nearly every looper. We put them in jars. The kids wanted to take them home. I wanted the kids to step on the loopers (heartless gardener that I am). They wouldn’t hear of it. We reached a compromise — they decided to feed the loopers to some goldfish at a nearby “pond” (aquaponic unit, but for these purposes it’s essentially the same). 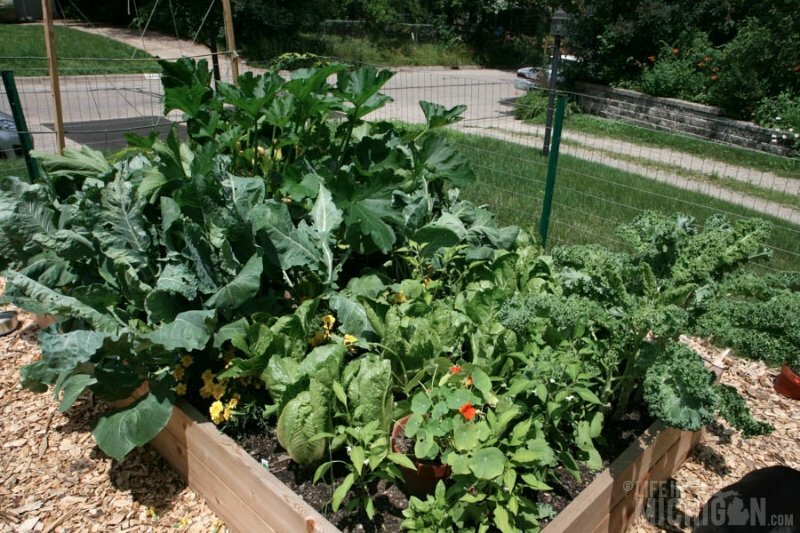 Good luck with your pest problem and happy gardening! I would agree Amanda picking the little critters off is working the best! We are collecting them for the chickens that Chuck’s brother owns. By way, love your blog! http://planteplants.blogspot.com/ I just bookmarked it! Happy gardening. Know thy ennemy… The Imported Cabbageworm (ICW) is the larvae of the white butterfly. 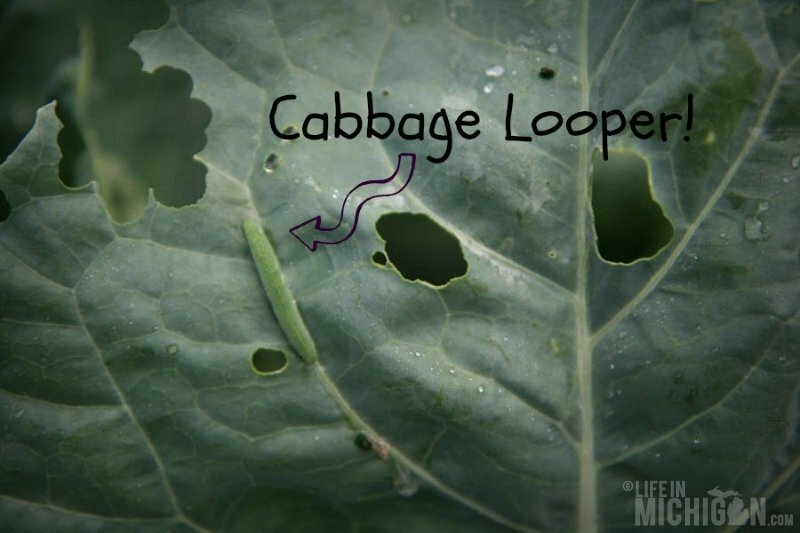 The cabbage looper is the larvae of a moth. The closeup image in my opinion is an ICW but then again you may also have some cabbage loopers attacking at the same time.